I recently received some samples of the Peppadew® pasta sauce range which launched last year. There are five delicious variants and when you start thinking out of the (pasta) box also so many ways to use them! 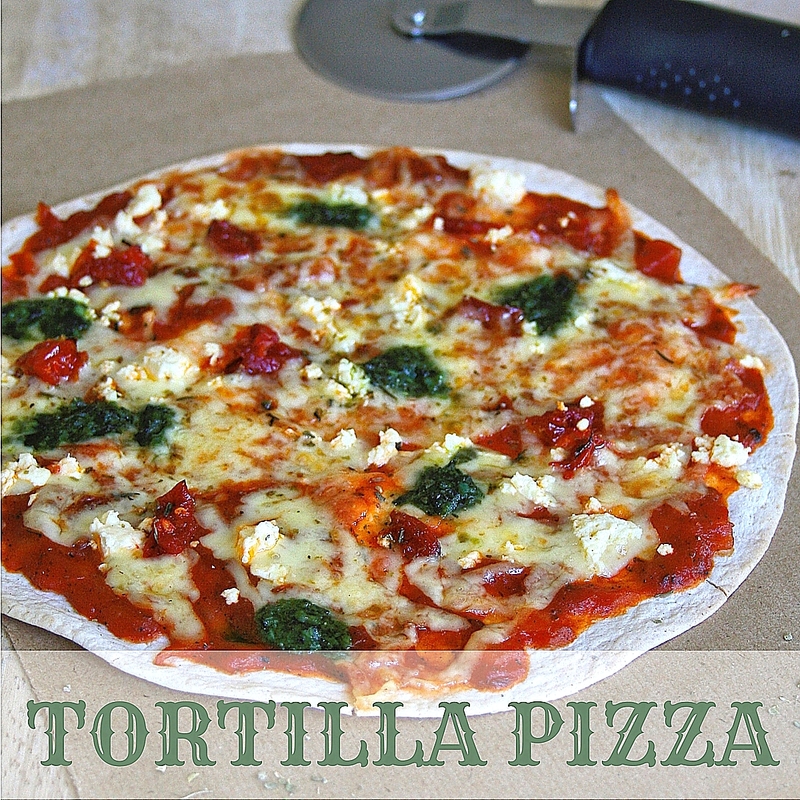 I made the tortilla pizzas using the Tomato and Basil Pasta Sauce and it worked wonderfully as a rich and flavourful base. Having tried the full range of sauces though I am sure that all of them would taste great in this recipe. 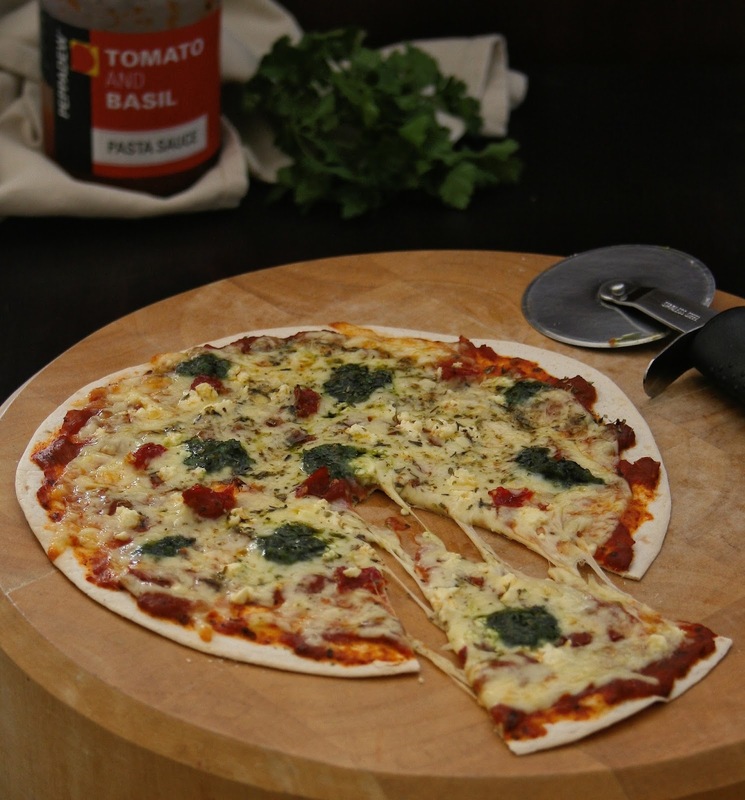 Making pizza has never been quicker (we are talking 10 minutes here, folks) or more convenient, and before you can say “show me the cheese” you will have a hot and très tasty pizza to fill your belly. I tried a few different ways of baking the tortillas and found that brushing a little olive oil on the bottom gave the crispiest base. You could skip this step but your base will be a little softer as a result. 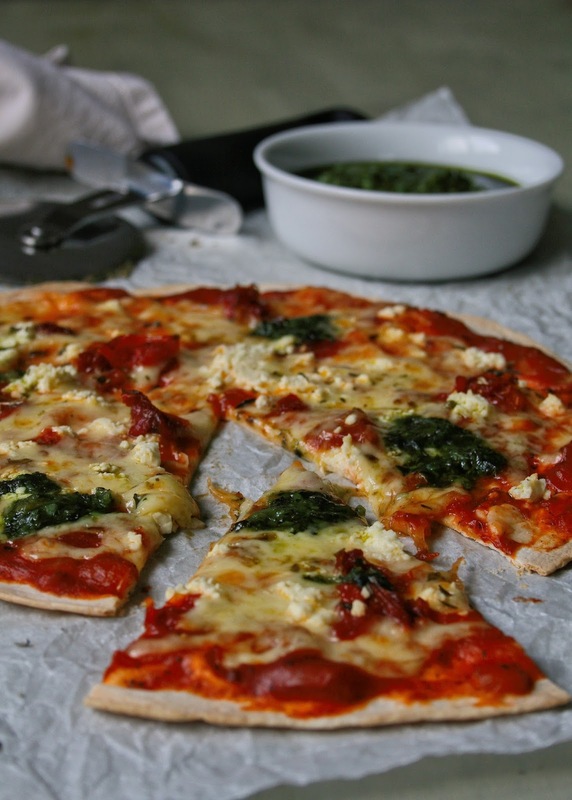 This pizza will always go down a treat, whether you are looking for easy mid week supper inspiration, a weekend snack or something quick to make for the kids when hunger strikes. This is definitely one for the whole family! Cook’s tip: you can use wholewheat tortillas if you prefer. And of course the topping options are endless, you can customise the recipe to include all your own favourites! 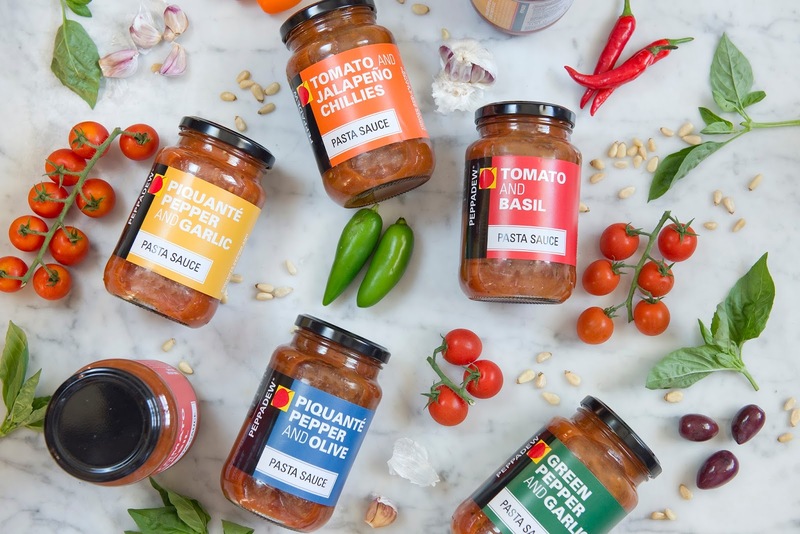 You can find the Peppadew® Pasta Sauce range at Pick ‘n Pay and Spar stores nationwide. Keep checking in to the blog too, I will be sharing another delicious Peppadew® recipe soon. 1.) Preheat your oven to 200ºC and place the tortillas on a baking tray. Brush the olive oil over the top of each tortilla, then flip them over so that the oiled side is on the bottom. 2.) Spread the tomato and basil pasta sauce over the tortillas in an even layer. Sprinkle the mozzarella and sun dried tomatoes over the top. 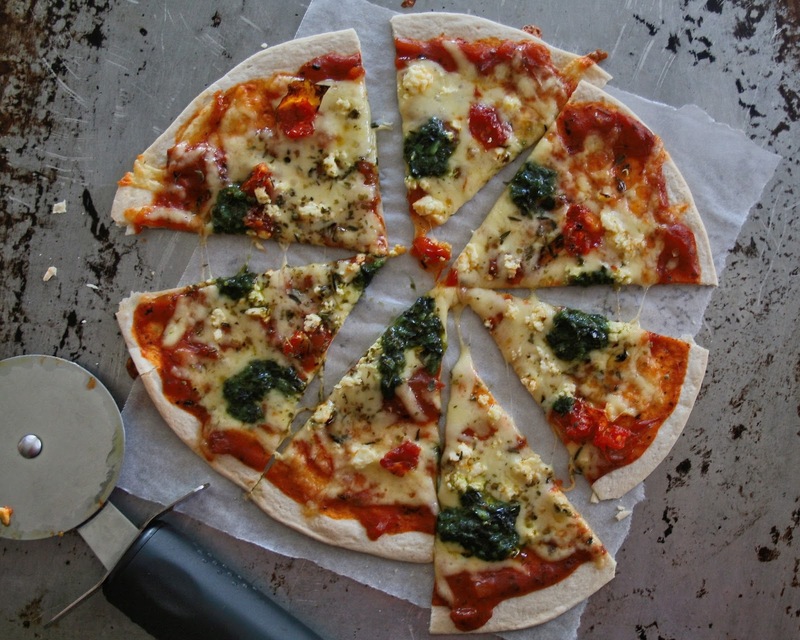 Spoon tiny dollops of pesto around the pizza, then crumble the feta over the top. Lastly, sprinkle a pinch of Italian herbs over each pizza. 3.) Pop the tray in the oven for 7-8 minutes, or until the tortillas are crispy and starting to brown and the cheese has melted. Slice and serve immediately. Disclaimer: This post is sponsored by Peppadew®. Recipe, images and words are my own.